Everton will sign Marko Arnautovic’s according to Sky Sports Austria. 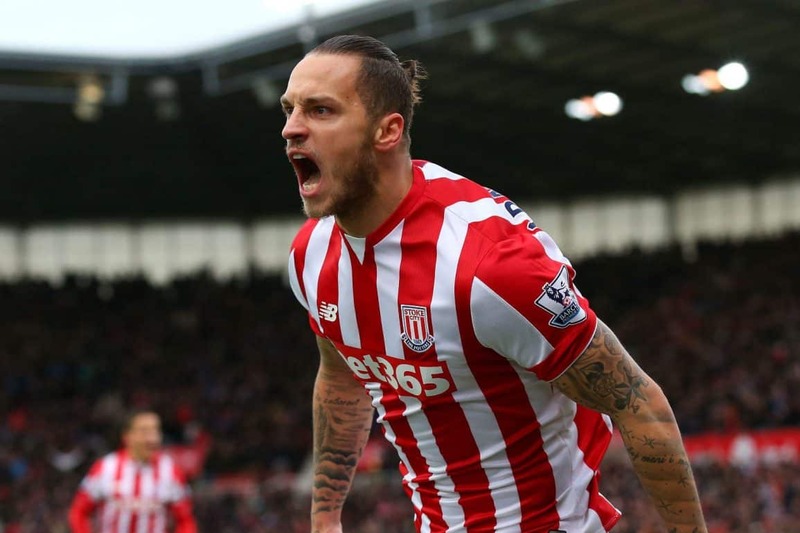 Arnautovic has one year left to run on his deal at Stoke City who have been trying to convince the 27-year-old – their top scorer last season with 12 goals – to sign a new deal for several months but he is yet to commit. Sky Sports Austria reckon Everton have activated a minimum fee release clause and will sign the Austria international forward on a four-year-contract. Asked about Arnautovic’s situation last week, Mark Hughes said: “We are where we we are with Marko, but we remain very hopeful of being able to keep him here. “Marko knows what he has here and knows the environment that he is in, he is well liked in the dressing room and in the stands too. “Those sort of things are important to Marko and he understands that. Not believing these Arnautovic rumours until I see him holding up an Everton shirt! Arnautovic is talented, knows the Premier League, is at a good age and can play on the left wing. Could be a clever signing if it comes off.